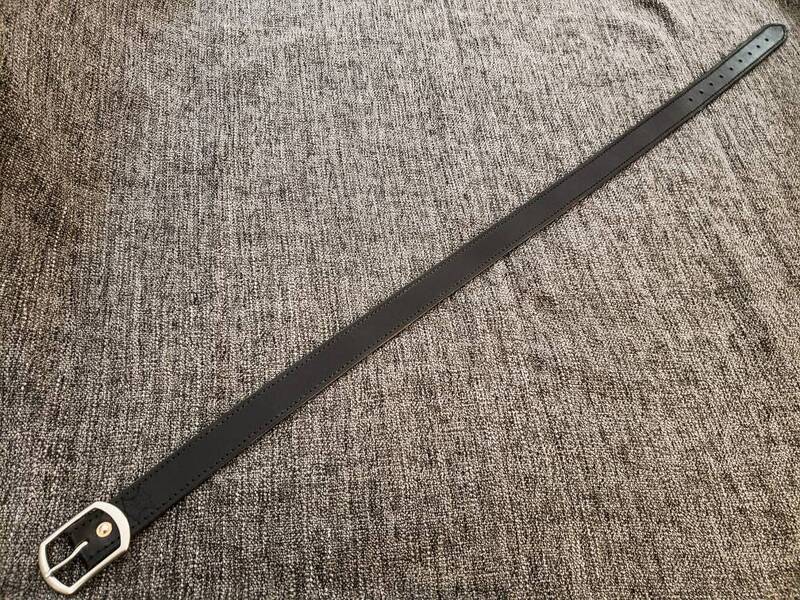 This listing is for a heavy duty leather belt, similar to our other heavy duty belt, but a little different. 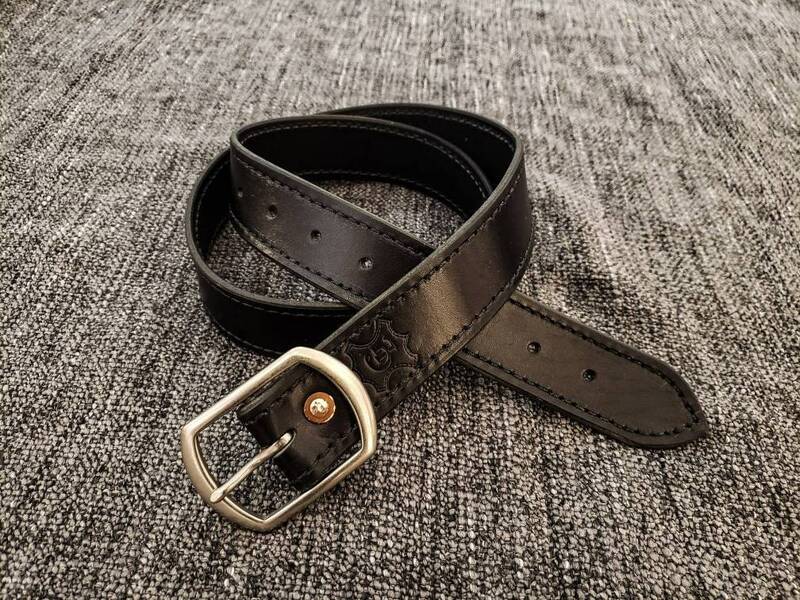 This belt is made out of 8-10 ounce latigo cowhide, unless the "natural" color is chosen, in which case it will be made out of vegetable tanned cowhide. Each belt is 1 1/2" wide and features stitching along the border. 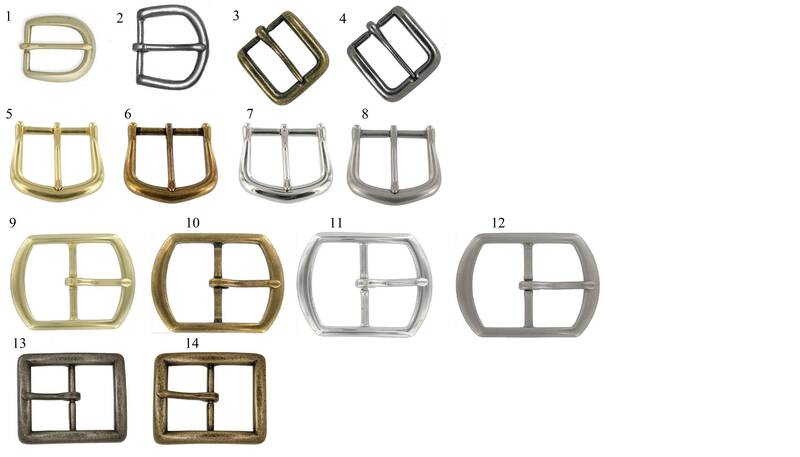 There are 14 buckles to choose from, choose from the photo in the gallery and pick from the drop down menu. Typically, the buckles will be attached via hand peened copper rivet, but if you'd like snaps or chicago screws to allow you to swap out your buckle, let me know in the order notes.